We wonder where the gospel events took place, especially during Holy Week.. Where was Jesus judged by Pilate? What way did he go to Calvary? Where was he crucified and where was he buried? 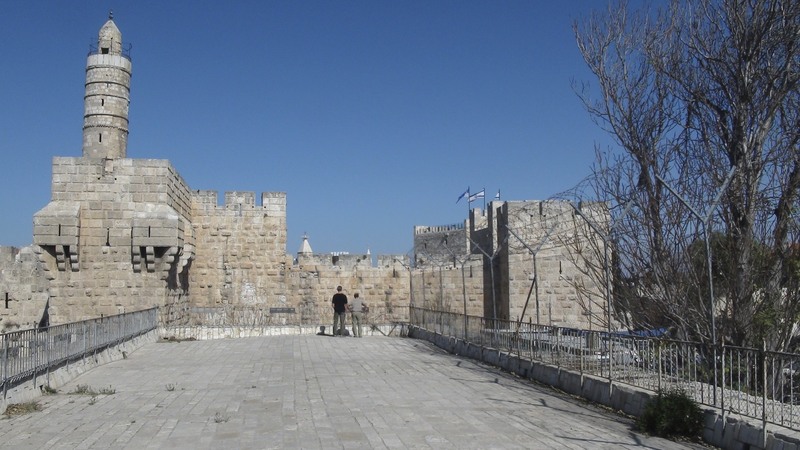 Jerusalem’s “Via Dolorosa”, the traditional way of the cross, is less historically reliable. Beginning near St. Stephen’s Gate, where the Fortress Antonia once stood, it winds up at the Church of the Holy Sepulcher. Murphy-O Connor says it is “defined by faith and not by history.” (pp 37-38) Early Christian pilgrims created it. After the Christian church was established by Constantine in the 4th century, pilgrims from Mount of Olives, where many stayed, walked through St. Stephen’s Gate up to the Church of the Holy Sepulcher, stopping at certain places to recall incidents from the passion of Jesus. The present Via Dolorosa was formed from their devotions over the centuries. (cf. Murphy-O’Connor, p 37) Pilgrims, not archeologists, have given us the present Via Dolorosa. Is their a more reliable way? A reconstruction of Jerusalem (above) from the time of Jesus at the Israel Museum–somewhat altered here– suggests another way that Jesus was led to Calvary. At the bottom right is the luxurious palace complex built by Herod the Great. (below) When Pontius Pilate came from Caesaria Maritima for Passover he probably stayed there and judged Jesus in the courtyard outside the palace. After sentencing Jesus to death, Pilate handed him over to a detachment of soldiers quartered somewhere in the great towers to the left of the palace, who scourged him and crowned him with thorns. They then led him away to Calvary, probably parading him through part of the upper city as a warning to others. 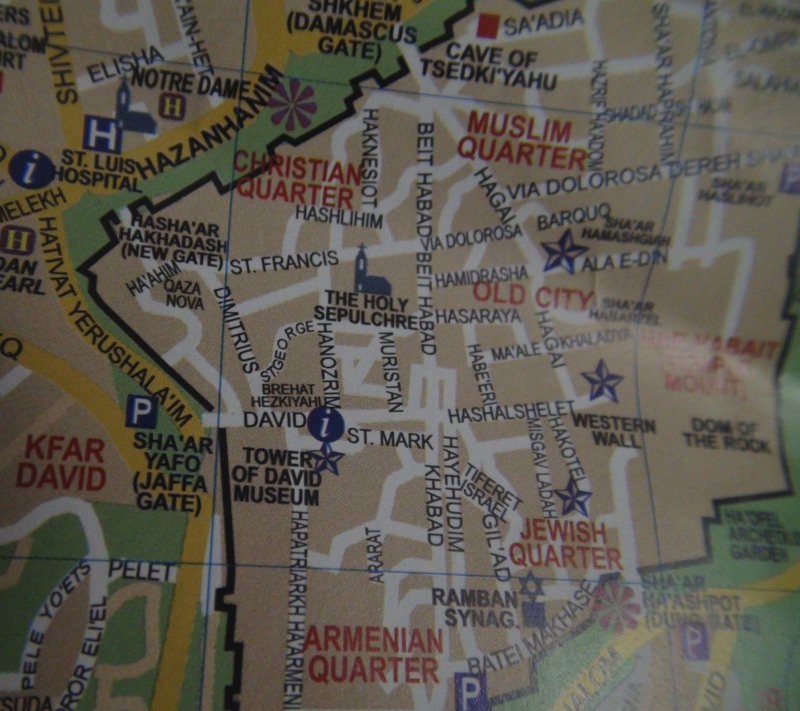 In our map of Jerusalem above, the rock outcropping near to the city wall is the site of Calvary where Jesus was crucified. The gospels say he was buried in a tomb only a stone’s throw away. 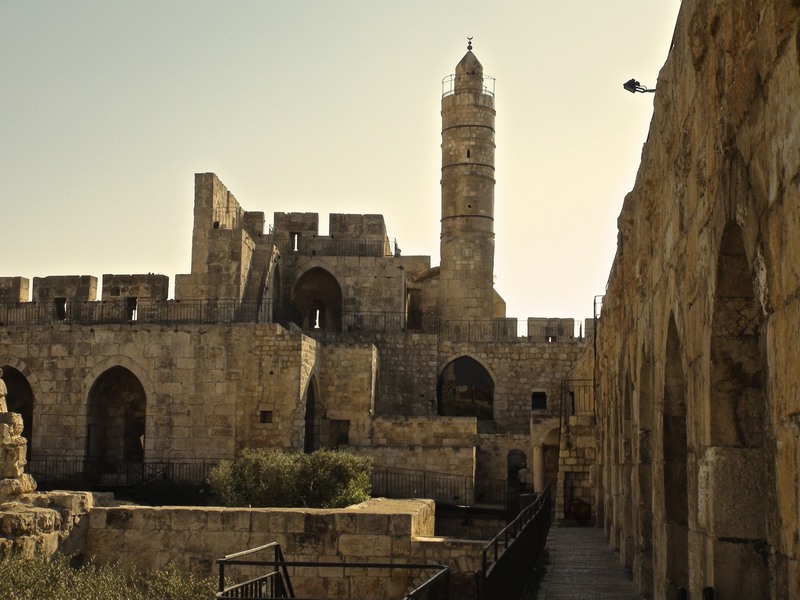 In Jerusalem today the Citadel stands on the ruins of Herod’s palace, still dominating the western part of the Old City. 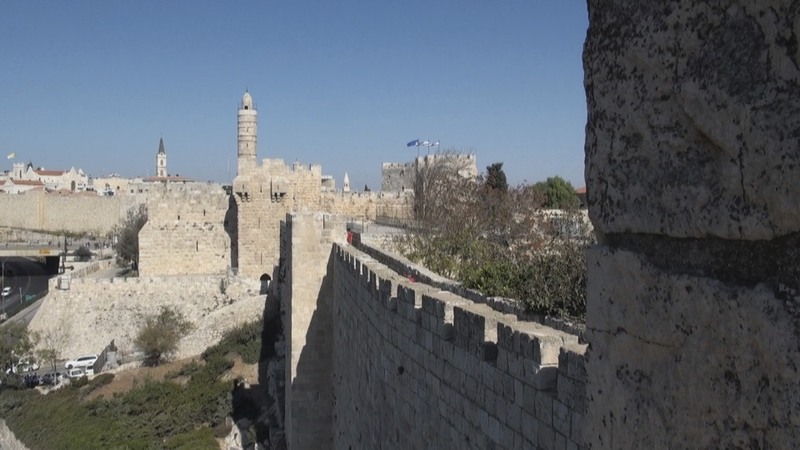 You can walk on the southern ramparts of the city wall where Herod’s palace once stood and view some few remains of Herod’s building; the towers have been rebuilt. I walked that way some years ago, down David Street, to the Triple Suk and then west to Golgotha and the Church of the Holy Sepulcher. My sense is Murphy-O’Connor is right, but I think we better not change the Via Dolorosa. 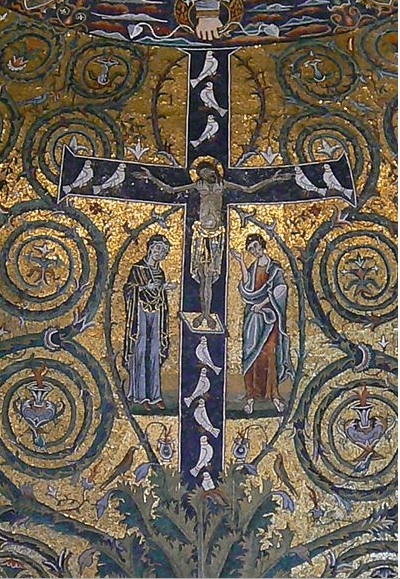 For one thing, good piety has given us the present Via Dolorosa and it has a truth and beauty all its own. More importantly, it would start a war in Jerusalem, and the city has enough grief now. 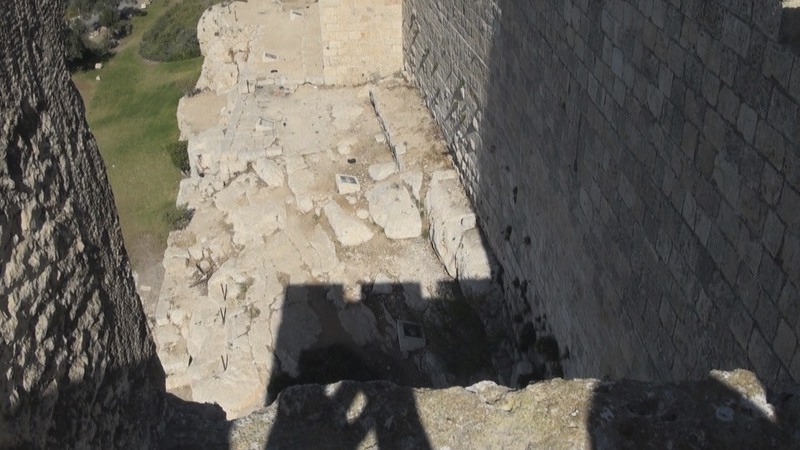 This entry was posted in Passionists, Religion and tagged Citadel, Herod's palace, Holy Land, Jerusalem, Passionists, piety, pilgrimage, Stations of the Cross, Via Dolorosa on April 17, 2019 by vhoagland.